Back in 2010, Grant Reed was diagnosed with a brain tumor. He decided to name it after something he really, really wanted to beat badly. 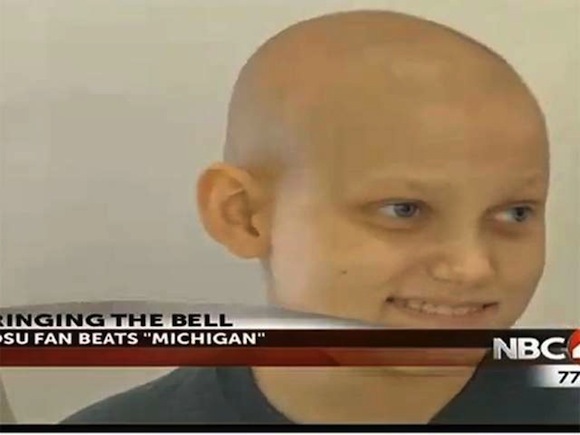 So Grant named his brain tumor "Michigan." "We've beaten Michigan for the short term, but like any rival, there's a chance it can come back," Troy said. "I want to recover. I want to talk faster, I guess. Walk faster," he said. Doctors say his prognosis is looking good.